With several convenient locations in Durham (and Chapel Hill), Joe Van Gogh has been a perfect spot for me to get work done with nice coffee. 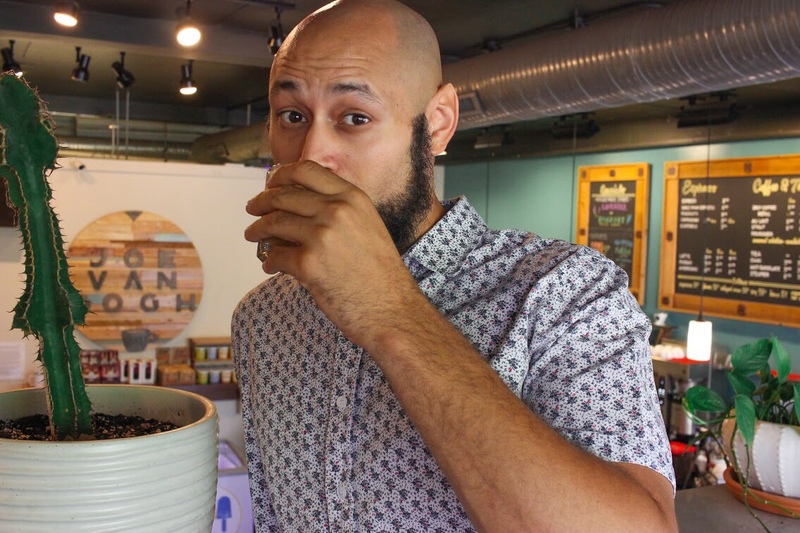 Starting with a single coffee shop in 1991, owner Robbie Roberts has helped develop a community of coffee roasting professionals and coffee drinkers who enjoy a fine quality coffee. And while I enjoy knowing that Joe Van Gogh provides some of the most cleanly-roasted coffee from its fuel-efficient Loring roasters, it’s not just the coffee that brings me back here. As an entrepreneur, there are moments when I have to focus in order to crush a deadline. For me, when I feel the need to get my work done at a proper pace in a proper place, Joe Van Gogh is my go to. Each shop, especially the home store on Broad Street, provides a great laid-back atmosphere. Not only have I made some good friends by going here, I’ve also networked with many other creative, socially-minded people. On top of that, it’s always good to know that I’m getting some of the finest quality coffee in the area from individuals who know their stuff. Personally, I believe Gogh’s and Roberts’ dream of connecting every community of the coffee industry is well on the way to fulfilment. With many of their roasts being sold in local markets (like Whole Foods and Durham Co-op), and a coffee shop experience that many residents of the Durham area and beyond seek out, Roberts has helped develop a community that stretches miles.